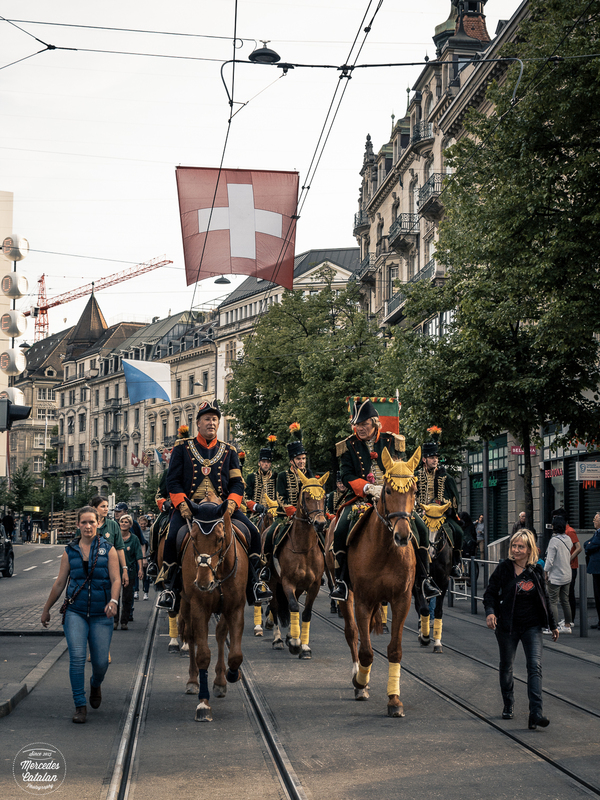 The city of Zurich celebrated the Sechseläuten this past Monday. It is a traditional spring festival with medieval roots. 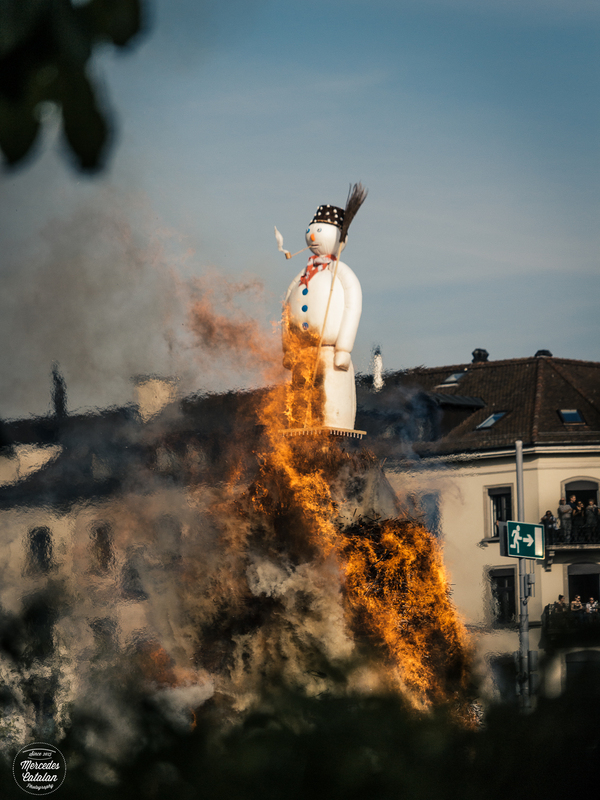 The celebrations consist of a big parade in the city centre, where the Zünfte, or traditional guilds of Zurich, take part and the burning of the Böögg, a snowman that represents the winter and, according to the tradition, can predict how the summer will be. This has been my first Sechseläuten. I didn’t really know what to expect from the festival, but I’m really happy I went to see it. 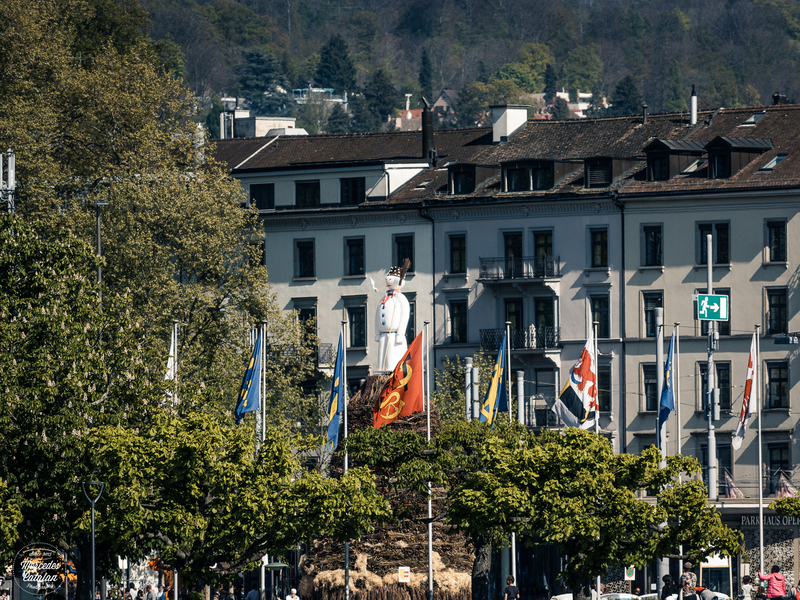 The city centre was beautiful, with flags of the city and the city guilds everywhere. 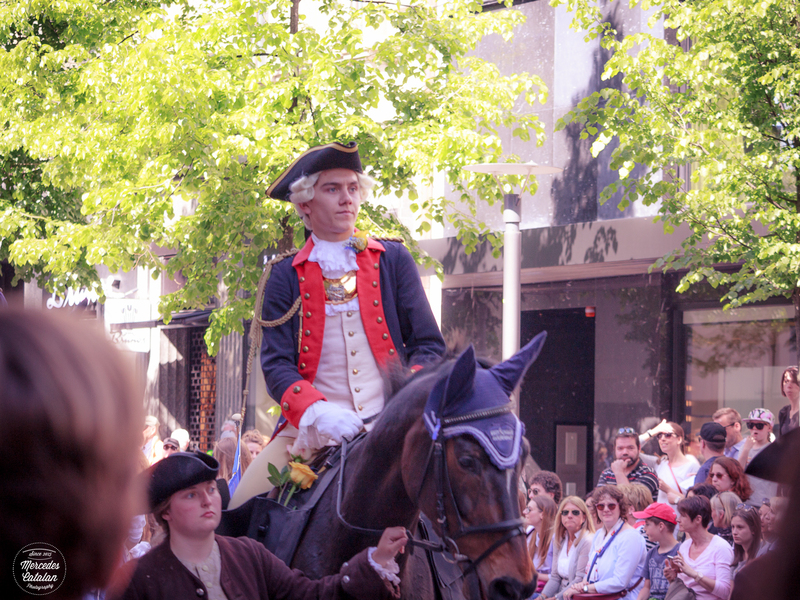 The parade was especially beautiful: the members of the guilds were all wearing historic attire, uniforms and traditional costumes. Every guild had its own music band and horsemen. 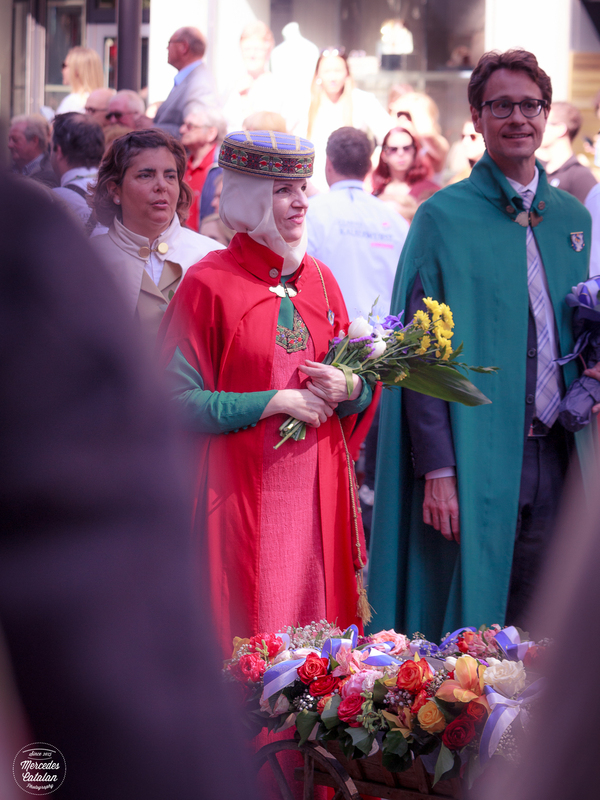 The people from the public were giving flowers to the guild members during the parade. And it was really nice to see people from all ages involved in the festivity. The parade ended at the Sechseläutenplazt, in front of the Opera House. 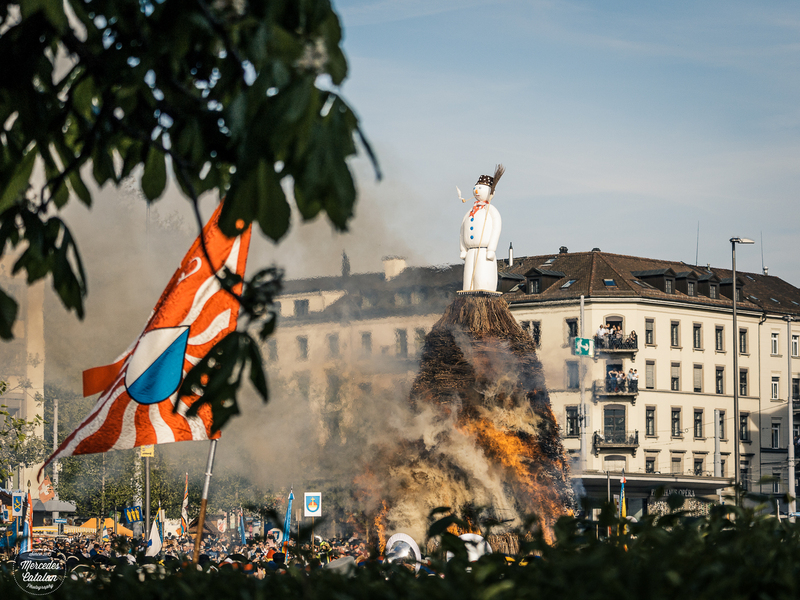 There the Böögg was waiting to be burnt at the top of a huge pyre. 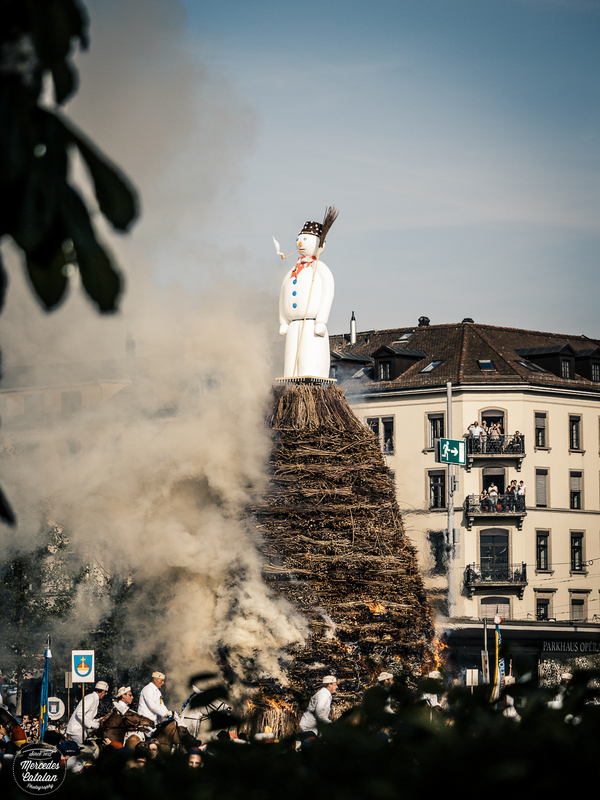 The tradition says that the time between the lighting of the pyre and the explosion of the Böögg’s head (which is full of firecrackers) can predict how the weather will be on summer. 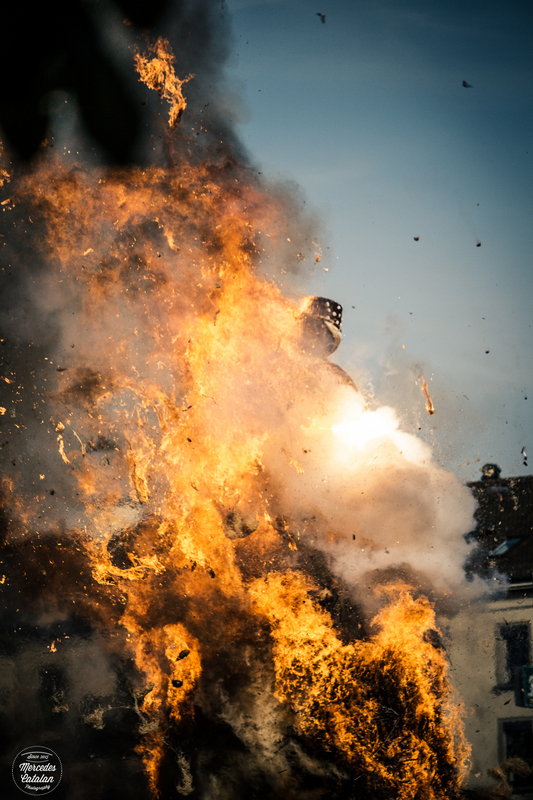 The shorter it takes to explode, the finer the summer will be. This year it took 9 min and 56 secs to explode and locals say it will be a nice summer. 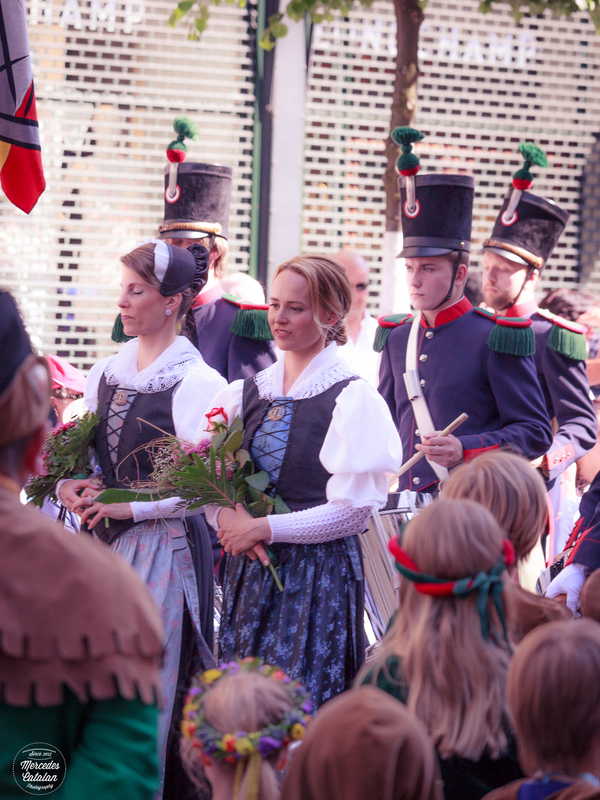 I really enjoyed the colorful and familiar Sechseläuten, even if the streets were packed and I couldn’t take as many photos as I would’ve liked to. 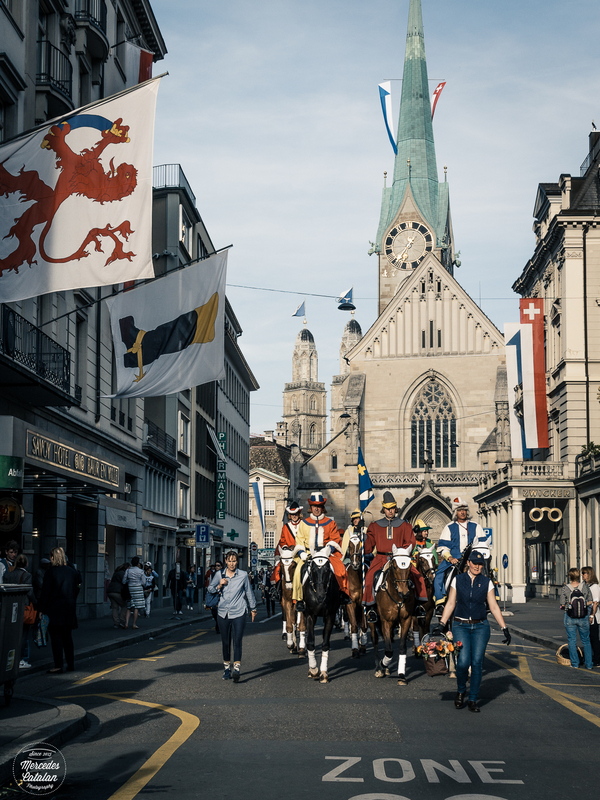 I hope next year I can be in a better location to take more photos and show you all the parade and burning of the Böögg!!  Mercedes, Your photos are great. You did well with shooting through the crowds. Loved it. 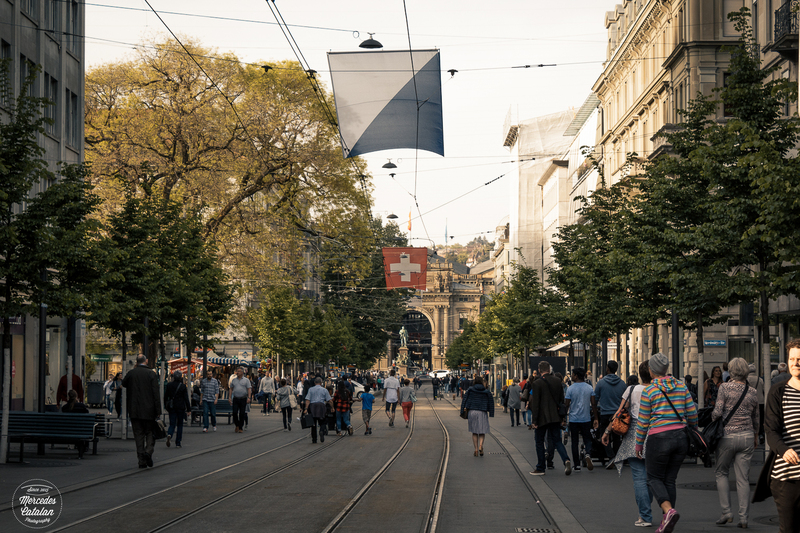 I’ve been to places where there are crowds and just make them part of the scene. It’s like shooting street photography. Sometimes you get lucky and get a winner! Looks like a lot of fun. Great images. Pingback:Wanderlust: Lhasa Tibet | What's (in) the picture? 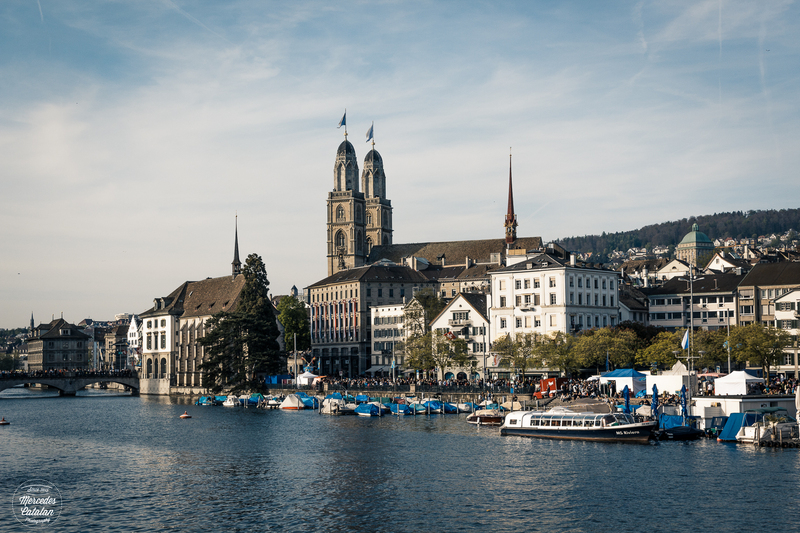 Nice…can’t wait to see Switzerland!